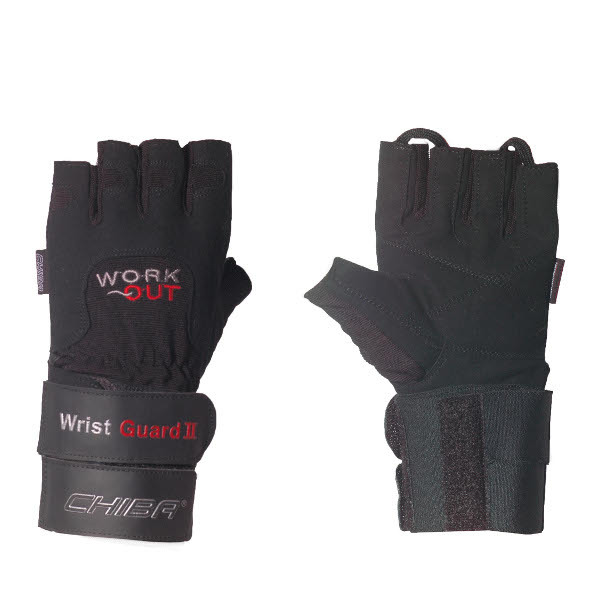 The Chiba Workout Wristguard II training gloves are an important accessory for strength training with weights. Gloves increase grip for exercising with barbells/dumbbells and protect palms. Training gloves of Chiba are made of Spantex and Clarino making them breathable and elastic. Wrist support with double hook-and-loop fastener stabilizes wrists while doing strength training with heavy weights and increases safety and training efficiency. Very good quality. Excellent protection of the wrist ad good grip. Easy to take off.